In recent years, hundreds of thousands of families have fled war and violence in Syria and Iraq to seek refuge in Jordan – where over 738,000 refugees now reside. Upon their arrival, the struggle to gain their footing and rebuild their life begins and often continues for many years. It is in this landscape that NEF is working to provide both vulnerable Jordanian families and refugee families with safe and sustainable opportunities to earn an income and regain economic stability. 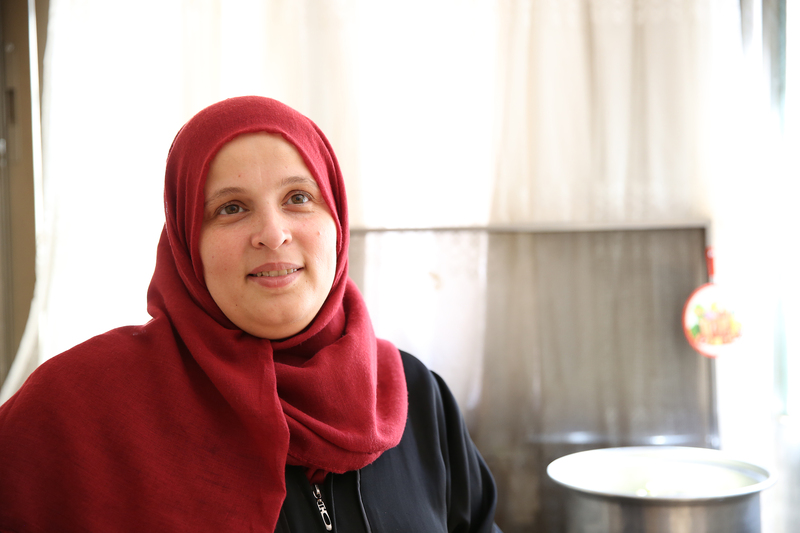 Asma’s outlook is much different than just a few years ago in 2013 when Asma and her family were forced to flee their hometown in Syria after their neighborhood was raided and bombed leaving their home destroyed. Like nearly 80 percent of the refugees who seek safety in Jordan, Asma’s family chose not to remain in a refugee camp and moved into a low-income community in Jordan’s urban sprawl. Asma and her family faced many of the logistical and emotional challenges that confront refugee families starting over in a new place—difficulties finding sustainable, safe, and dignified jobs, accruing debt during the resettlement process, limited access to credit, feelings of isolation, acclimating children who have experienced trauma to new lives and new schools. The strain of these challenges reach beyond the refugee community to the host community as well—resulting in declining income and rising poverty, unemployment, and debt. Without help, vulnerable families often resort to harmful strategies such as begging, early marriage, or child labor to get by. NEF is working to address these issues by providing refugees and Jordanians with the support they need to overcome these mounting challenges and set out on a path to secure a steady source of income. NEF offers trainings on business development, employability, vocational trades, and financial literacy in some of Jordan’s most vulnerable communities. Paired with the trainings are small business grants, social networking, and on-going mentoring and coaching for new entrepreneurs. 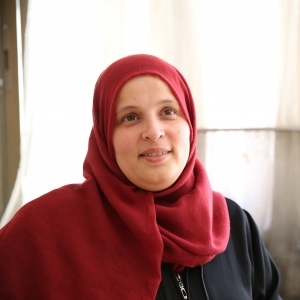 Through NEF-led trainings, Asma learned how to develop a business model, market her products, interact with customers, set prices, and enter into new markets. With the project grant she received at the completion of the program, she purchased a refrigerator for food preservation, giving her as she says, the “push” she needed to really get started. 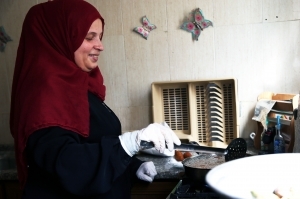 Asma’s household has seen a 50 percent increase in income from her cooking business. Her customer base continues to grow, and she is planning to invest in additional equipment and another refrigerator to keep up with increasing demand. The family has now started to save some money for the future and emergency expenses which brings Asma and her husband great peace of mind. Qaiser is 41 years-old. He is a husband and father of four, a son and three daughters. He and his family moved to Jordan from Iraq in 2013. When describing the circumstances under which they left Baghdad, Qaiser says, “There was sectarian turmoil. There were dead bodies in the streets, and I was afraid for my family.” That is when they left everything and came to Jordan to start a new life. Now the whole family contributes to making the business successful. 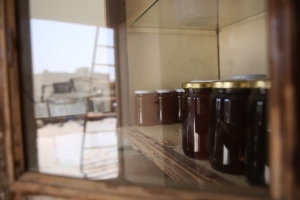 “They help so much in my business, and they work beside me preparing honey and filling bottles. They work with me for many hours, and they get as tired as I do,” says Qaiser. 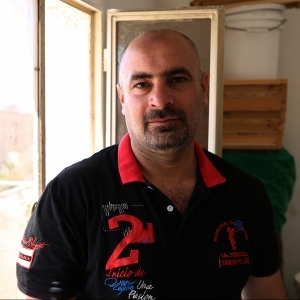 In addition to covering the family’s basic needs, profits from the business allow Qaiser to provide other items such as school stationary, toys for his children, and vitamins for his wife who is currently pregnant with their fifth child. 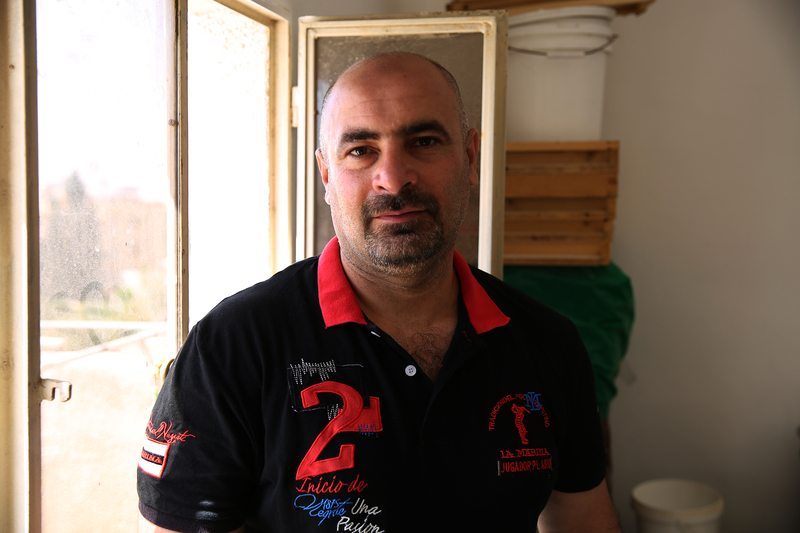 Qaiser, Honey Producer from Near East Foundation on Vimeo. 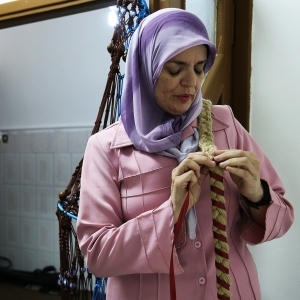 Hanan is a 45-year-old Jordanian woman who sells handwoven goods to earn supplemental income to support her 18-year-old son. This is a worthy achievement in its own right, made that much more notable when considering that Hanan lost her sight when she was just 28 years-old.